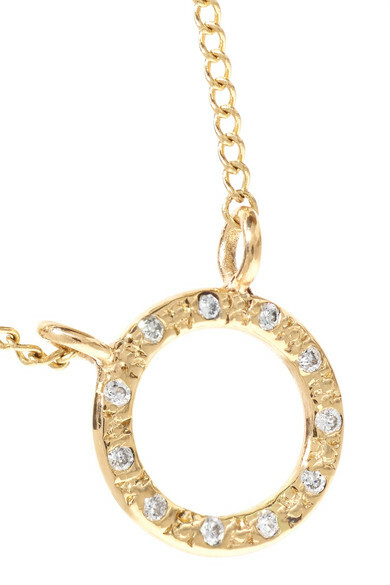 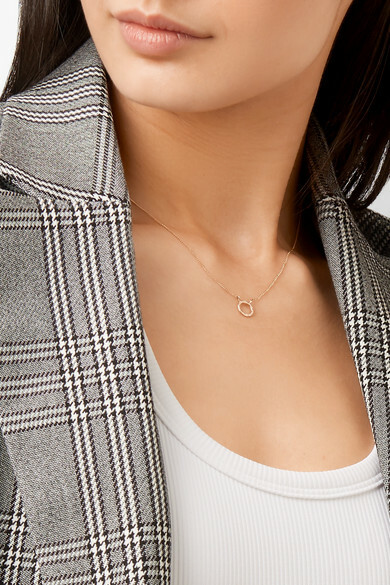 Elegant and simple, Melissa Joy Manning's necklace will slot seamlessly into your everyday jewelry edit. 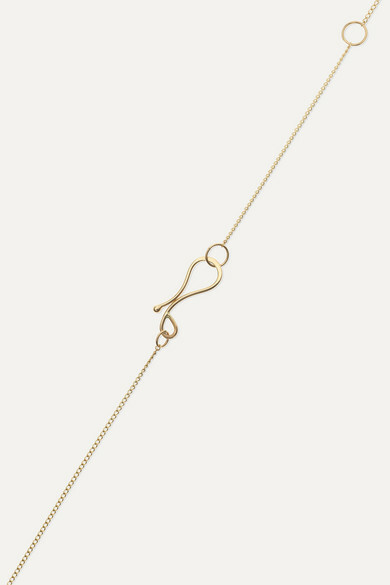 It's handcrafted from recycled 14-karat gold and strung with a dainty ring pendant encrusted with 0.0375-carats of shimmering diamonds. 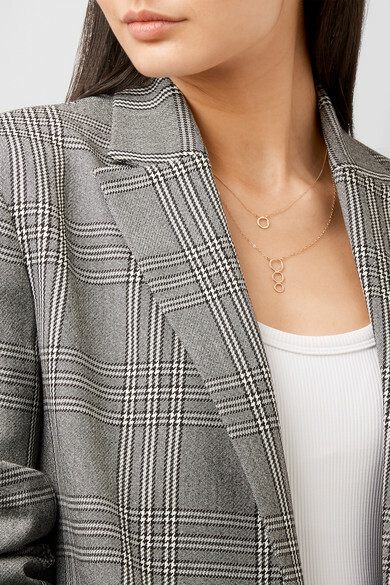 Shown here with: Maje Blazer, All Access Tank, Totême Jeans, Melissa Joy Manning Earrings, Melissa Joy Manning Earrings, Melissa Joy Manning Ring, Melissa Joy Manning Ring.